simply entering calculations into your calculator can be come a task itself apart from the overall homework assignment. It takes focus and a lot of processing to change into that form, not to mention remembering where pi, phi, and e are saved in your calculator. 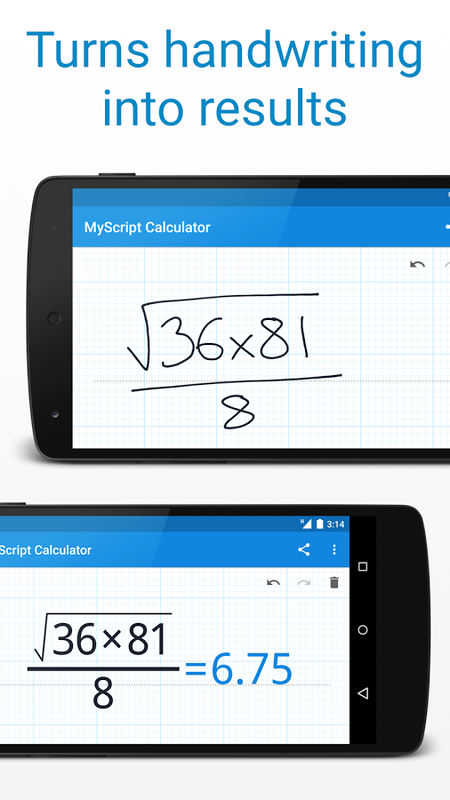 MyScript Calculator is an app that helps with this task. 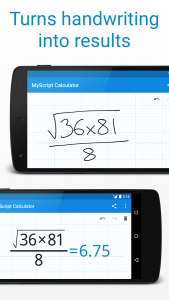 You simply handwrite the equation with your finger or stylus, looking like the first equation above, and the app will turn it into mathematical script and calculate it. You can quickly edit equations by crossing out numbers and even solve basic algebraic equations. This app can perform most of the functions that a scientific calculator can. 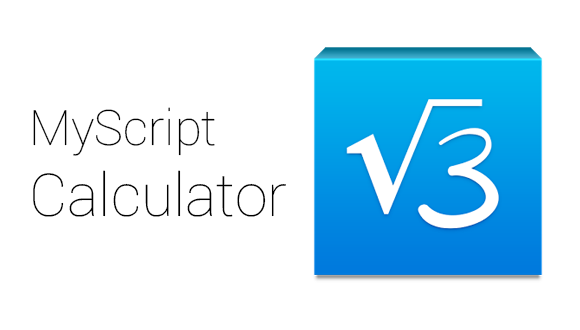 An extension in the iOS app allows you to save the typeset equations to be used in other apps. Check it out for Android and iOS. The app is free, but there are several paid add-ons. This entry was posted in Tech Blog and tagged Android, App of the Week, Assistive Technology, Calculator, CSDTech, iOS, Math, Processing.